Spend a day with conductor Neil Ferris and professional singers from Sonoro to sing choral classics by Brahms, Bruckner, Rachmaninov, Rheinberger, Stanford and Tallis, and to explore newly composed partner pieces by some of today’s top composers. 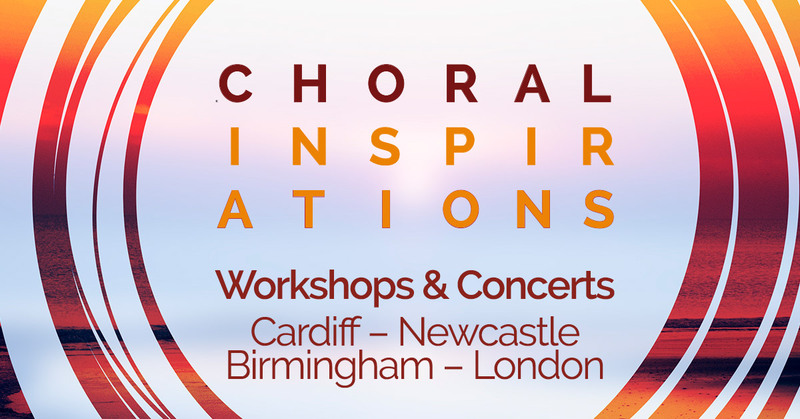 This workshop has been designed to both challenge and inspire confidence, and participants will receive expert advice on vocal techniques and interpretation. Sonoro will be joined by Birmingham Bach Choir for a concert performance at 5:30pm. This project has been funded by the generosity and support of Arts Council England, the RVW Trust, and the Hinrichsen Foundation. Spend a day under the direction of our inspirational conductor, Neil Ferris, and professional singers from Sonoro. Sonoro will be joined by Cardiff Polyphonic Choir and Roath Community Chorus. Sonoro will be joined by Birmingham Bach Choir. Join Sonoro for a concert performance of each 'choral classic' and its newly composed partner piece. A magical way to celebrate the festive season with family and friends. Festive choral favourites including Vaughan Williams’ Fantasia on Christmas Carols. Copyright © 2019 Sonoro, 115 Camborne Road, Morden, London, SM4 4JN. Registered Office: Tuition House, 27-37 St George's Road, London, SW19 4EU. Company Registration Number 10571468.